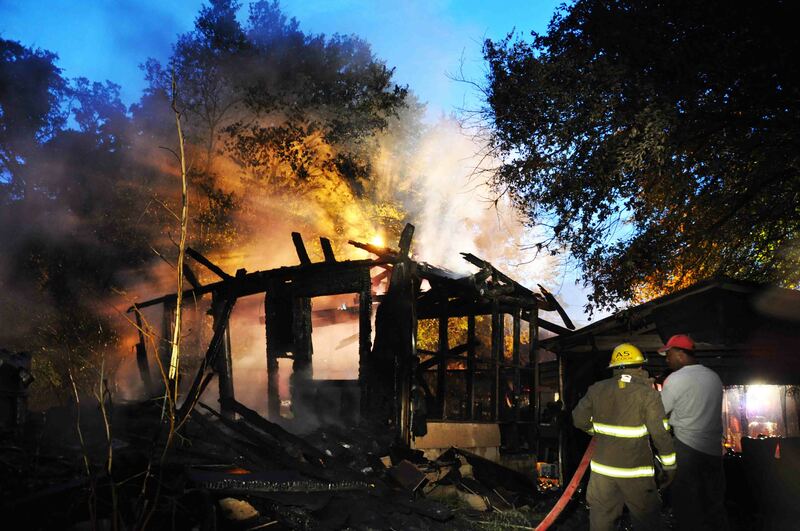 A home located at 903 Francis Street was destroyed by a fire at 05:18 Saturday morning 28-July. 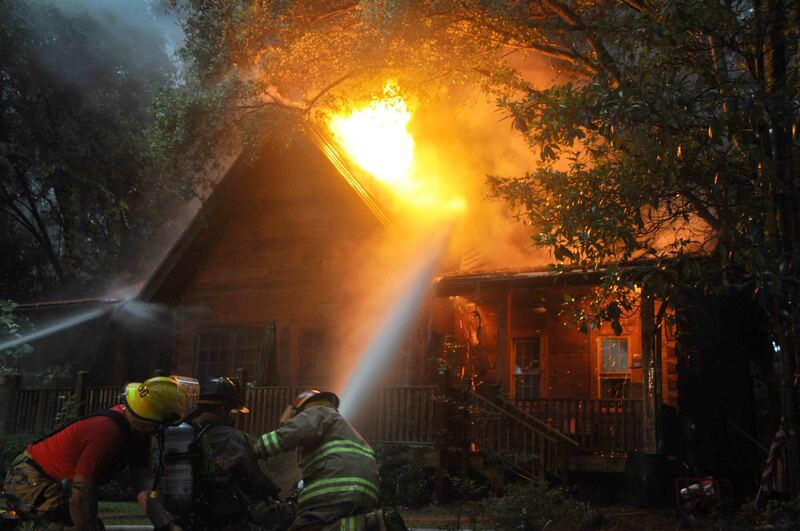 9-1-1 callers reported the burning home near the intersection of Francis Streets and Barracada Road. Francis Street begins the east City of Walterboro limits. Fire-Rescue units were dispatched to the incident... click here for more information. A lightning strike is blamed for a fire that heavily damaged a home Friday evening 27-July at 18:39. The home was located at 11991 Green Pond Highway. The fire occurred during a heavy thunderstorm which produced a great deal of lightning throughout the county for several hours. The residents reported they heard what sounded like a loud explosion when the lightning struck the home. Click here for more information. 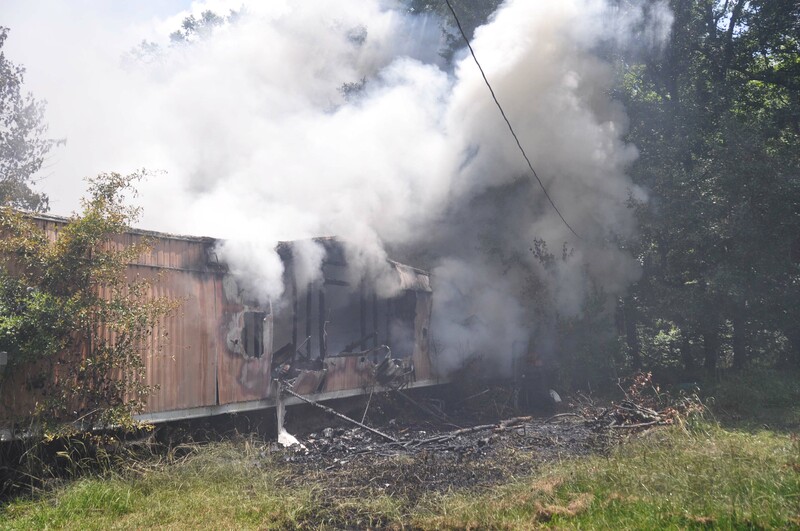 A electrical problem caused a fire that heavily damaged a mobile home at 95 Jennings Court Friday afternoon 27-July at 16:21. The fire occurred during a heavy thunderstorm that produced a great deal of lightning. This could have been a contributing factor. Engine 19 arrived to find heavy smoke conditions from the single wide mobile home, with flames coming from a front window. Click here for more information. 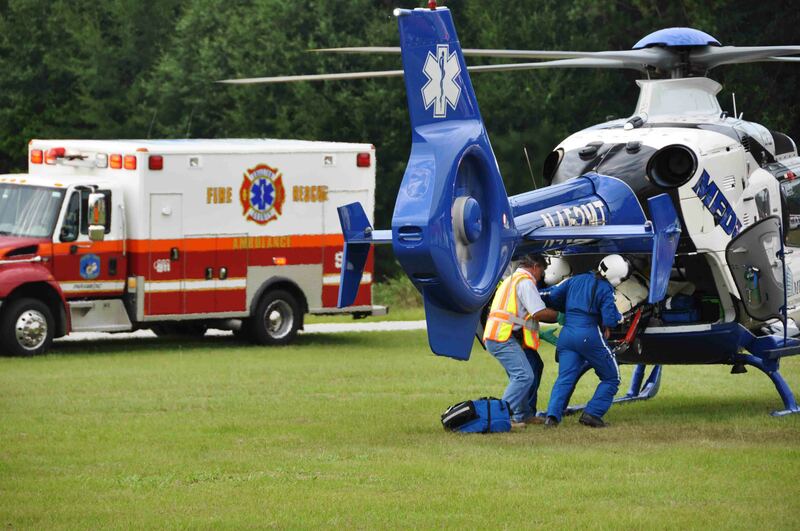 A 45 year old Summerville man lost his life in a single vehicle MVC on Cayce Road, just north of Willow Swamp Road in western Colleton County (near the Ashton Community), Friday afternoon 27-July at 14:20. The north bound Suzuki GSX1300R motorcycle was traveling at a high rate of speed when it dropped off of the roadway in a curve. Click here for more information. 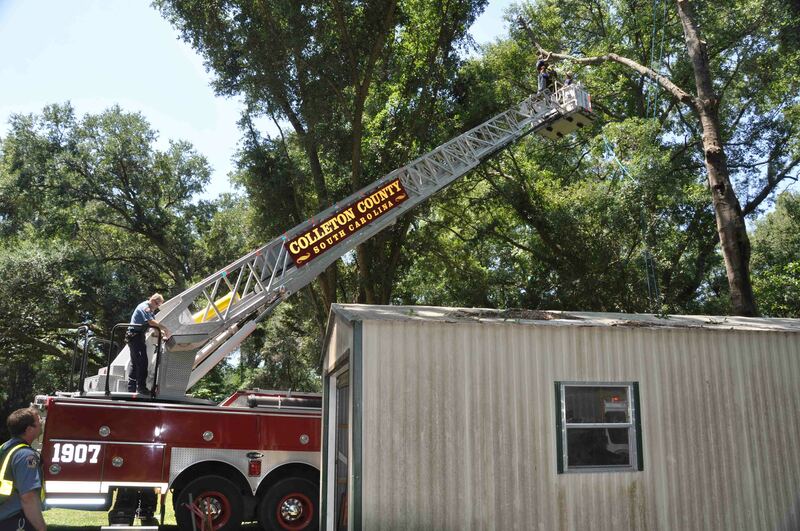 Fire-Rescue was notified by the Lowcountry Regional Airport of a female parachutist who had landed in a tree near the end of one of the runways, close to Robertson Blvd and Old Air Base Road. The incident was reported at 11:01, Friday morning 27-July. Several units were dispatched to the area and began looking for the woman. Click here for more information. A single vehicle accident has resulted in the death of a Colleton County teenager. 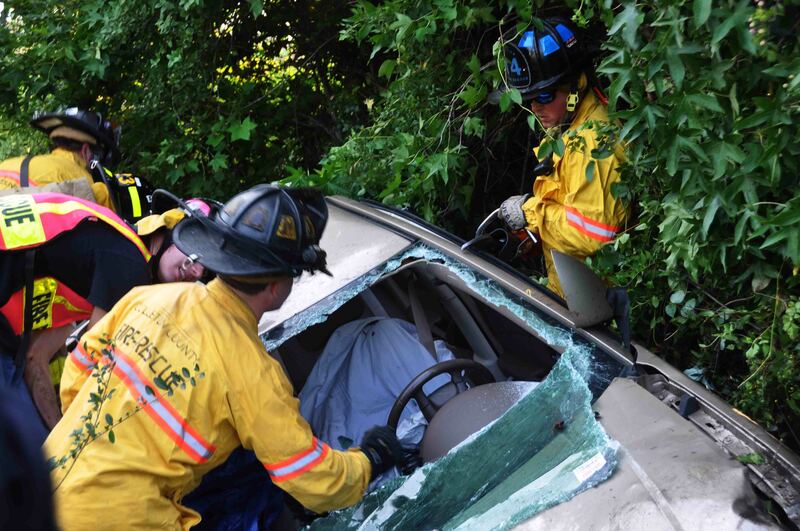 At 17:31 Wednesday afternoon 25-July, Fire-Rescue units were dispatched to Grubers Crossroads (Augusta Highway/SC Hwy 61 and Sidneys Road) for a report of an over-turned SUV with a woman ejected. The first unit to arrive at the location found no accident, but shortly thereafter located the car... click here for more information. 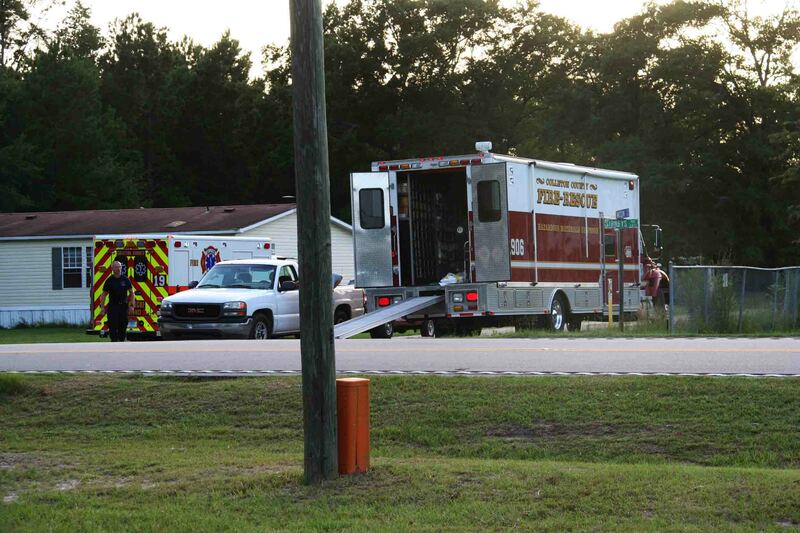 Fire-Rescue’s HazMat Team was called to assist Law Enforcement with a Meth Lab found at a residence on Sidneys Road, Monday afternoon 23-July at 17:56. According to a press release issued by the Sheriff’s Office, members of the Colleton County Sheriff’s Office and Walterboro Public Safety Joint Drug Crime Unit executed a Narcotic Search Warrant at 3416 Sidney’s Rd. Click here for more information. A First Aid/CPR class will be held on Saturday, September 22, 2012 at 09:00 hours at Station 19. This class meets the South Carolina Fire Academy Course 1153 (NFPA Firefighter I) pre-requisite and will serve as both initial and refresher training for all interested personnel. To register, please contact the Training Division at 538-6849 or email Battalion Chief Joey Campbell at jcampbell@colletoncounty.org. The deadline to register for this course is Friday, September 7, 2012 at 17:00 hours. Colleton County responded to a mutual aid request from Hampton County, to a single car MVC on I-95 at the 38 mile marker southbound, Wednesday evening 18-July at 19:11. The small Chevrolet car, left the highway at a high rate of speed and went down an embankment near the # 38 overpass. Click here for additional information. 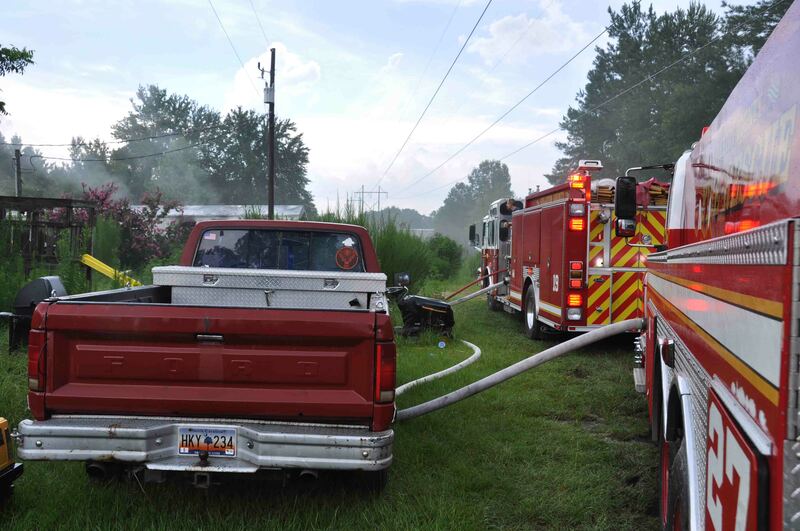 A mid-afternoon fire destroyed a home located at 67 Freemen Lane, north of Round O Monday 9-July. 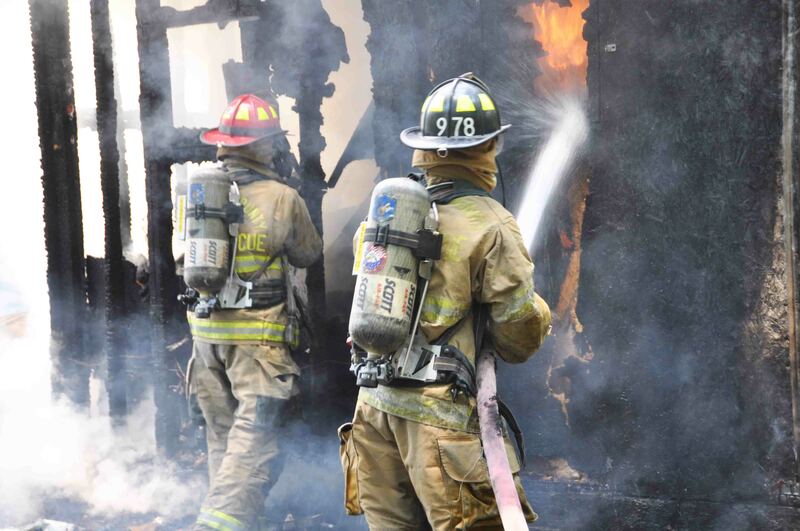 The incident was reported at 11:57, when a motorist saw smoke coming from the home. Engine 9 arrived minutes later to find the singlewide mobile 50% involved with heavy smoke conditions. Firefighters deployed two 1-3/4 handlines quickly knocking down the bulk of the fire. Click here for additional information. A tree trimmer was left in a precarious situation after he fell from a large limb he was cutting. The incident occurred behind 7312 Hendersonville Highway at 11:26. 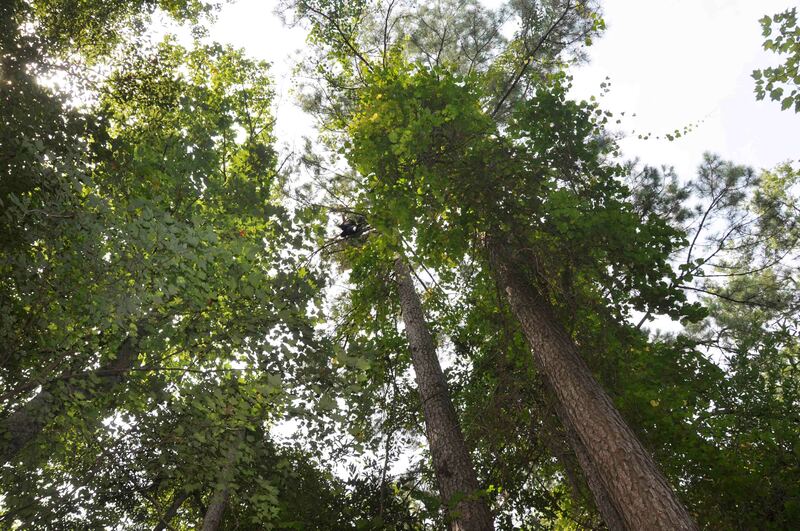 The man’s safety harness arrested his fall, but left him hanging approximately 35 feet above the ground. 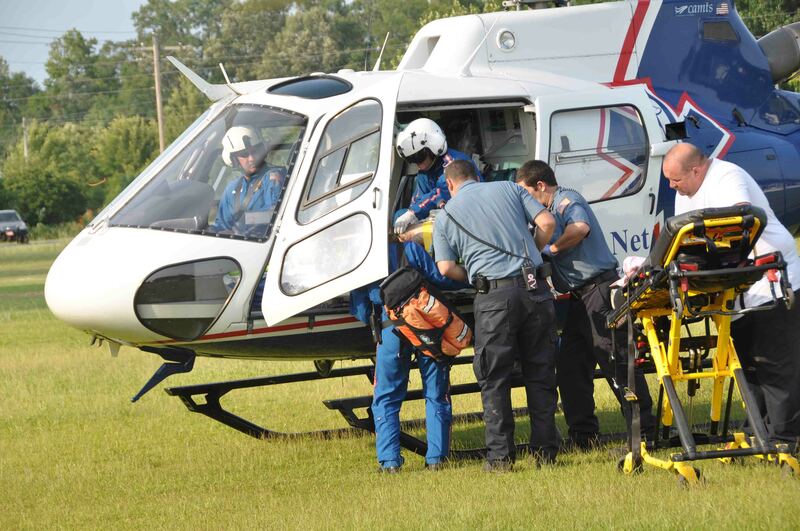 The man complained of a back injury, however responders were unable to reach him. Click here for additional information. 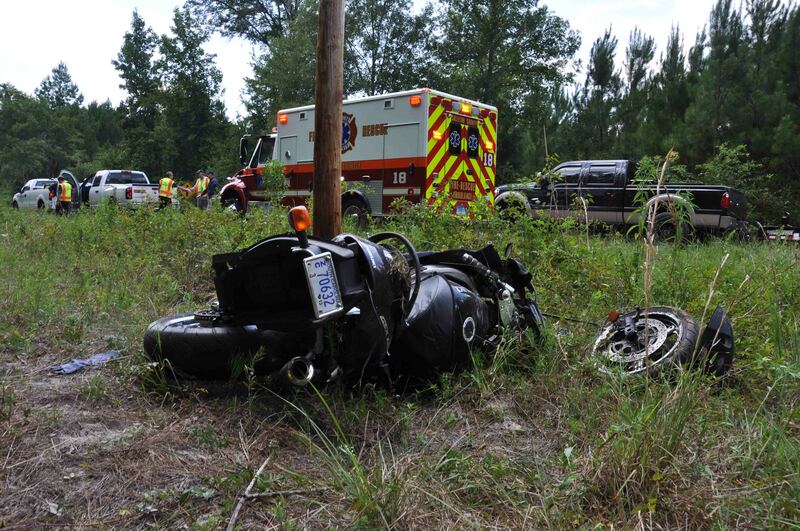 An adult male suffered multiple traumatic injuries after crashing a motorcycle on a private dirt track. The incident occurred at 3236 Wesley Grove Road at 17:42. The man received several dislocations and fractures in addition to other injuries. He was treated at the scene by Firefighter-Paramedics, who requested a medical helicopter respond. Click here for additional information. A large garage was destroyed Friday 6-July at 62 Natures Trail north of Cottageville. The fire was reported at 12:40. Engine 9, Tender 9 and Medic 9 were clearing from another response two miles from the incident and arrived within minutes. They found the approximately 40x40 garage fully involved. The roof had already collapsed. Click here for additional information. 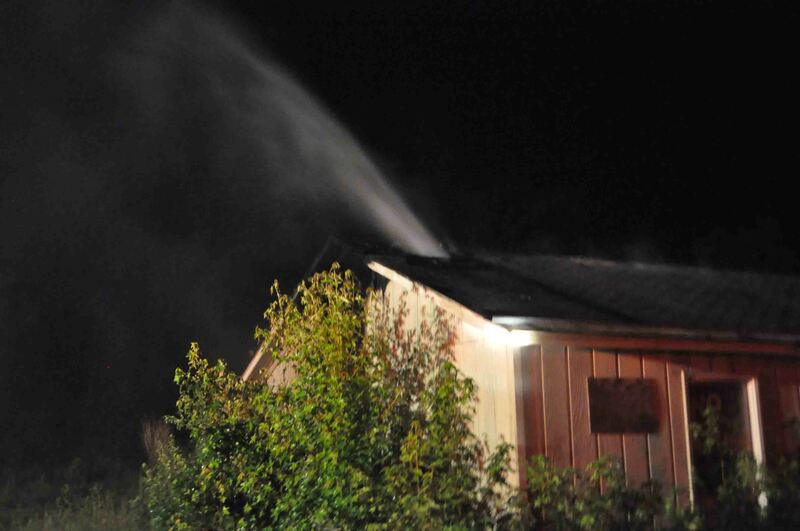 A reported tree fire turned out to be a building burning on Risher Mountain Road Friday morning 6-July at 04:12. Station 26 was originally dispatched to a tree on fire near the 62 mile marker southbound by a motorist on the Interstate. Once in the area, Engine 26 noticed the fire off of the 600 block of Risher Mountain Road and responded to that location. Click here for additional information. 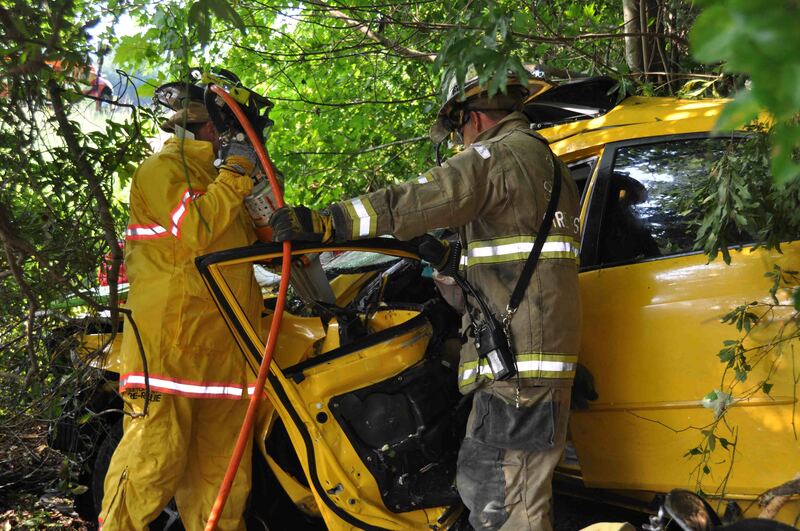 A two car MVC sent two people to the hospital Thursday afternoon 5-July. At 16:24, Fire-Rescue was notified of the accident in the 600 block of Robertson Blvd at 16:24. It was located just east of North Jefferies Blvd. A small Dodge pulled into the path of an east bound car causing the Dodge to be struck broadside in the driver’s door. Click here for additional information. An alert northbound driver aided in getting help to two injured people Thursday morning 5-July at 08:47. A West Virginia couple were driving northbound near the 56 mile marker when one of the occupants thought she saw a car drive off into the woods. The couple got off at Exit 57, then drove back to the 56 mile marker southbound to find car tracks leading into the woods. Click here for additional information. 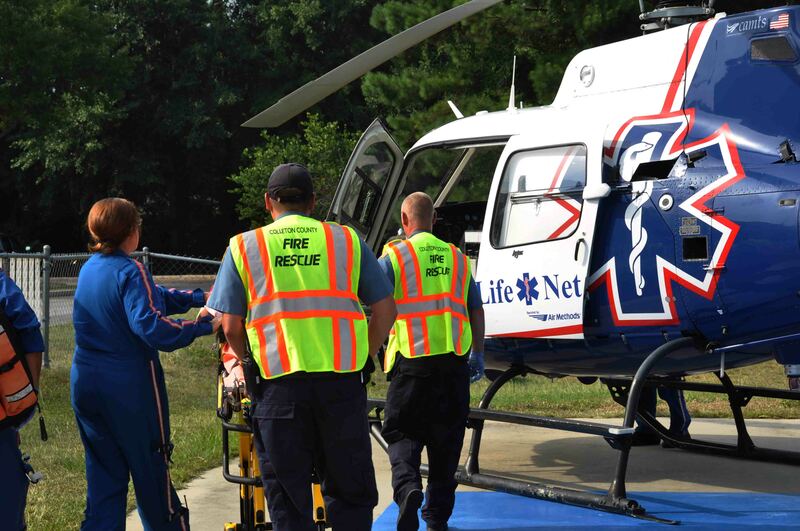 One man was flown to a Trauma Center following a collision between a small car and a tractor trailer on I-95. The accident occurred near the 59 mile marker northbound. The small car received heavy damage and the driver’s side “A” post was severed in half. The semi-conscious male driver suffered a suspected head injury. Click here for additional information. A piece of heavy equipment used to cut trees, was destroyed after the engine compartment caught fire. 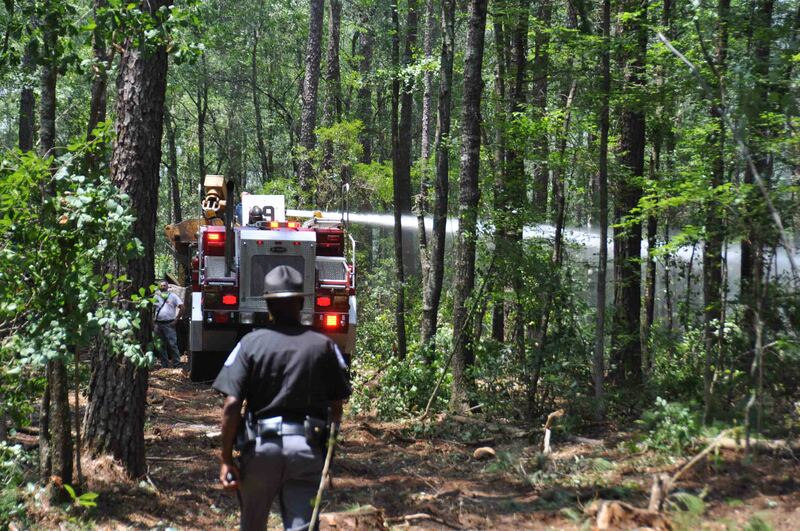 Stations 5 and 19 were alerted to the fire in the woods off of the 7700 block of Sidneys Road at 13:13, Tuesday 3-July. On arrival, Firefighters found they could not access the burning vehicle from the roadway. Crews requested ARFF 19, due to its off road abilities. Click here for additional information.